Silverstone Circuit is intending to submit a request to both Aylesbury Vale District Council and South Northamptonshire District Council for approval on a revised version of its Masterplan which was initially approved in 2012. As part of this process, Silverstone Circuit will be holding a public consultation on Thursday 16 March to allow interested parties and the local community to review the new plans. 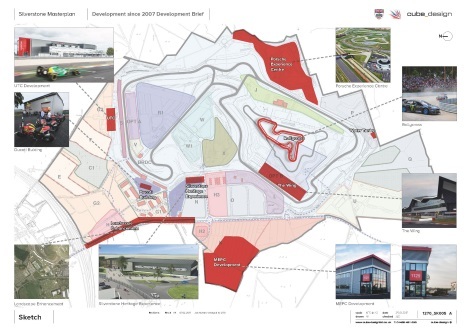 The Silverstone Masterplan was originally approved in 2012 and is the next big step towards securing the long-term future of the international venue which is owned by the British Racing Drivers’ Club (BRDC). The 2017 update of the original masterplan has evolved and will largely include the same elements of hotels, leisure and hospitality facilities, as well as circuit related activities. The public consultation will take place in the Silverstone Visitor Centre on Thursday 16 March from 16:00 – 20:00.